People generally call plumbers because they’re looking to fix something that isn’t working properly. Typical problems include things such as clogged drains, slow flushing and draining, discolored water, and reduction or lack of hot water. While the professional plumbing crew at John’s Plumbing & Pumps, Inc can certainly take care of those problems, they can do other services that can help better your home or office as well. One of these is installing a water filtration system at your property. Since Mid-2017, bottled water has overtaken soda as the most popular drink in the United States. If you’re like the majority of Americans, bottled water is a staple in your home. And while water is certainly cheaper than soda, you could be paying significantly more than you need to for that water than if you had a water filtration system. Even diligently searching for the best deals, you’ll be hard-pressed to find water cheaper than fifty cents per gallon–and that’s only if you buy it in bulk. Buying in singles can make it cost even double the amount as a gallon of gas! For high-end water filtration systems, the bulk of the cost comes upfront for purchasing the system and making sure it’s installed properly. Some systems can even filter up to a million gallons before needing to be replaced. After that, the cost is simply how much it costs to run the water in your home, which is a tiny fraction of the cost of buying pre-bottled water. Without a doubt, the cheapest way to stay hydrated is to use tap water. However, depending on the water source, tap water can contain several unwanted minerals that can make you more prone to health issues. Older homes can also be at higher risk depending on the pipe material used. Some older pipes used galvanized steel, which was later found to rust from the inside out. While water filters can reduce the number of minerals, changing the pipes is a more permanent solution. Fortunately, the water filtration system installers at John’s Plumbing & Pumps can handle these and any other plumbing issues! As the most popular drink in the country, landfills are seeing more and more water bottles get through every day. Recycling plastic water bottles is a great way to help protect the environment, but even still, a significant amount of energy and waste is expended through the production of these bottles; even if they are made from recycled materials. The easiest way to reduce your impact on the environment is to avoid these bottles when possible, but how do you also avoid the contaminants found in much of tap water? 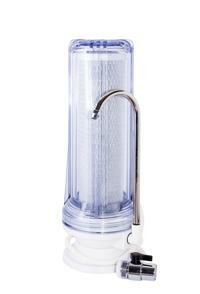 One solution is to use a water filtration system and reusable water bottles. Along with being better for the environment, some reusable water bottles can even keep drinks cold for up to 24 hours and hot for up to 8 hours, meaning you can have the temperature you want without having to worry! 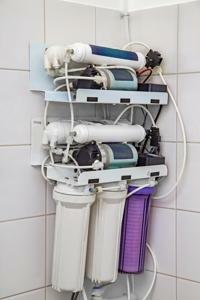 Considering a water filtration system for your property? Call us today for the best service and value for water filtration in Bonney Lake!